Continuing our driving journey through Europe, we found ourselves passing through the lovely Parc National du Mercantour, hugging the Italian border in the south-east corner of France. We stopped at the small village of Tende, deep in the heart of the park, for a few hours to look at the museum, which houses displays of stone age people who lived in the region thousands of years ago, as well as to have a walk around and to get some lunch. After sightseeing for a while, it was time to eat. 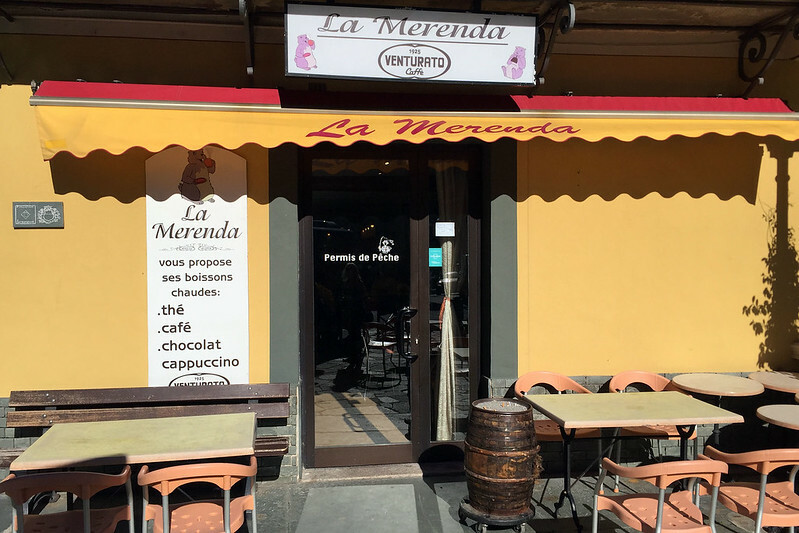 Not much was open, but we found a cafe called La Merenda on the main street running through the village. It looked a little run down and not particularly promising in the food stakes, but there wasn’t much choice. 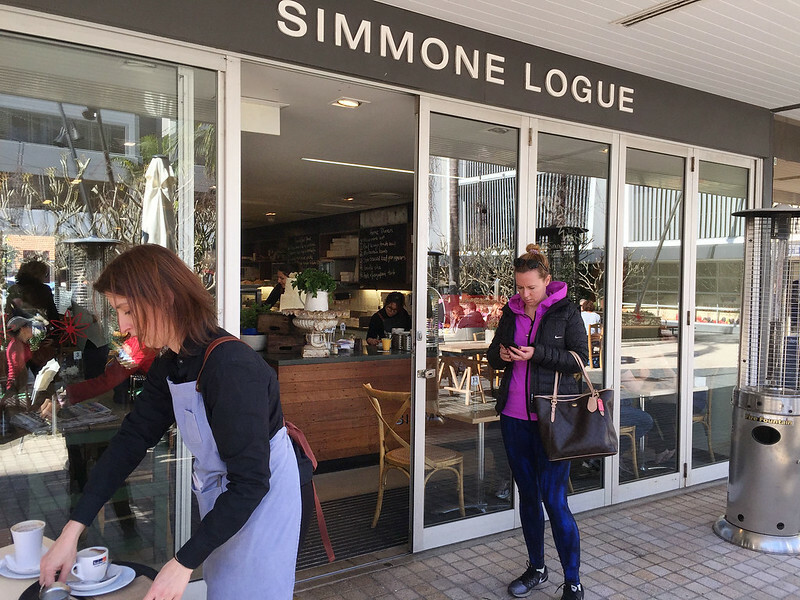 They did have some quiches and a tart des legumes, but also in a small sweet pastry section there were lurking a few mille-feuilles, the French version of the humble vanilla slice. Well, this was an opportunity not to be missed. This place is a local institution. 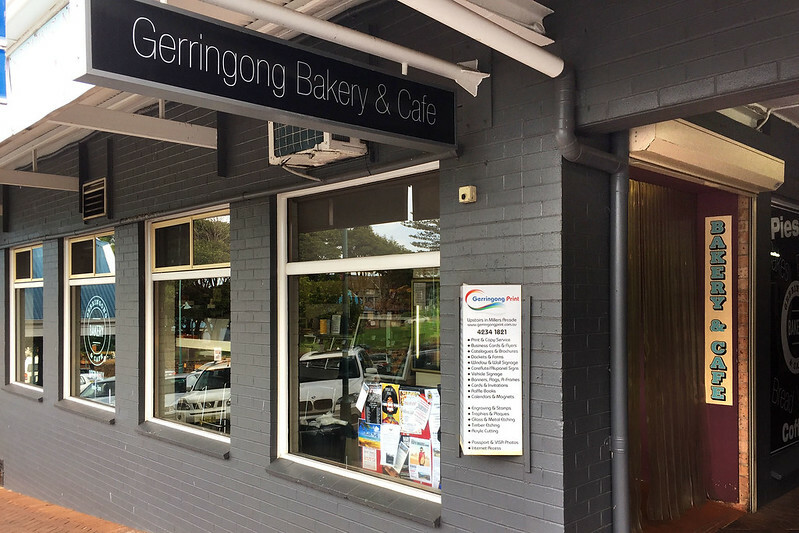 It’s been nestled in the same spot in a conspicuous green and yellow building on the side of Pittwater Road, amidst a row of residential houses, for as long as I can remember. On weekends people pull up to park out the front in a continual stream, dash inside to grab a bag of hot pies, and then leave to let the next car grab a spot. Some people linger and eat on the sparse pair of aluminium tables out the front, or sitting on the wooden benches in front of an adjacent house. In the couple of hours around lunch time, there is usually a queue stretching out the door. The somewhat run down building is decorated with numerous stickers and plaques indicating the numerous pie competitions that the eponymous Sylvia and Fran have won with their recipes. 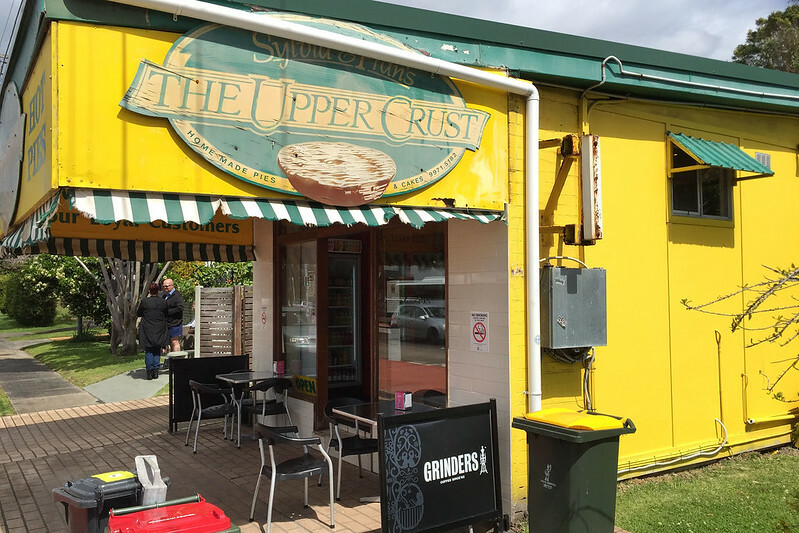 They have a selection of 30-40 different pies, with fillings ranging from the traditional plain minced beef, through chunky steak, to middle of the road combinations such as steak and potato, steak and mushroom, and steak and kidney. Then they stretch into more exotic flavours such as Mexican beef; lamb and rosemary; satay chicken; Thai chicken curry; beef stroganoff; and their multi-award winning chicken, avocado, and brie pie. There are sausage rolls too, in regular and cheese and bacon varieties. Vegetarians are definitely not left wanting either, with a selection including roast vegetable; Thai vegetable curry; Mexican vegetarian; spinach and feta; and potato, pumpkin, and sour cream pies – which are delicious enough to tempt even carnivores.